Nearly four in ten U.S. adults are caring for an adult or child with significant health issues, according to a new Pew Research Center survey. 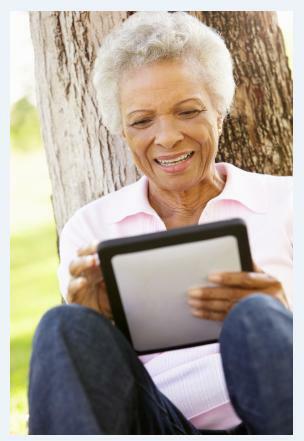 In addition, caregivers are proving to be heavy technology users, and are much more likely than other adults to take part in a wide range of health-related activities. More than 75 percent of seniors are living with a chronic health condition, such as diabetes or heart disease, and managing the symptoms of such conditions often falls on the shoulders of family caregivers. Happily, as this study shows, today’s caregivers are turning to every resource available to become better informed and find the support they need. The vast majority of seniors prefer home care over any other setting – and for good reason. Home care allows seniors to maintain their independence, remain living in familiar surroundings, and enjoy more personalized care from quality caregivers. With dependable homecare systems and homecare software, such as ClearCare Online, caregivers utilize innovative technology to facilitate better patient outcomes. These are just a few of the exciting features ClearCare Online’s homecare software has to offer. For more details on homecare systems, check out our recent post (Insert link here).